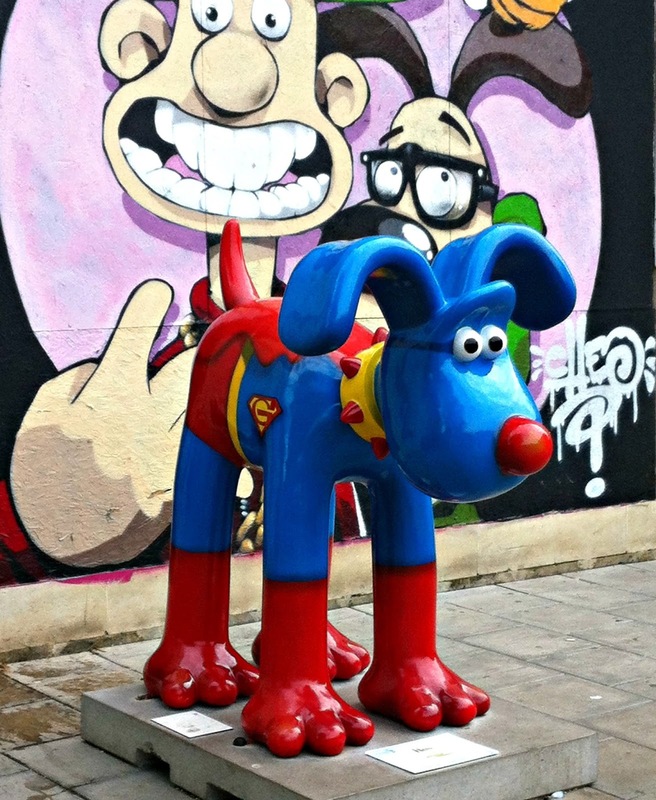 Hero Gromit protected our streets! I am missing all our lovely Gromits. The Gromit Unleashed trail ended on Sunday and for the last couple of days they've been picked up (via crane!) and taken away to their top secret kennel in preparation for The Greatest Dog Show On Earth--which I am totally going to, by the way. So, since all the family are pouting ever so slightly about not having any more Gromits to spot, I thought I'd share our pictures of them. Now, there were 80 Gromits in total, so this is part one of many! Lots of Gromit artists couldn't resist putting something funny on Gromit's bottom, which children found hilarious. After about ten Gromits, Lucas started looking at their bottoms first!! 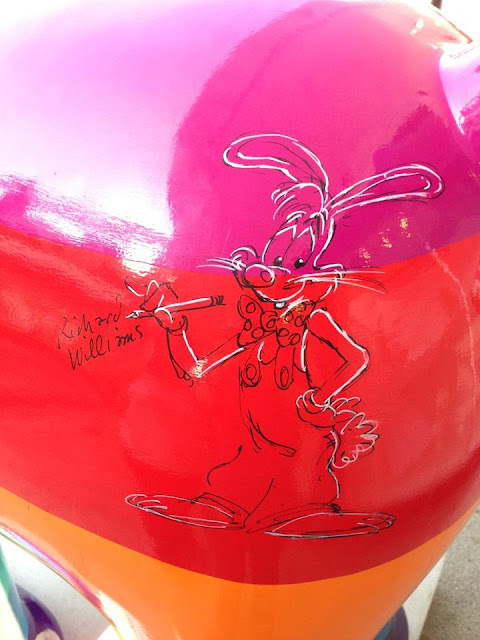 I think the best one, however, was Roger in Staple Hill, which was designed by Richard Williams who was the animation director for Who Framed Roger Rabbit. His sketch of Roger is fantastic! These Gromit pictures are from our first two hunting trips. I love how Lucas has gone from a very polite pose beside Roger, to hugging the living daylights out of Hero! 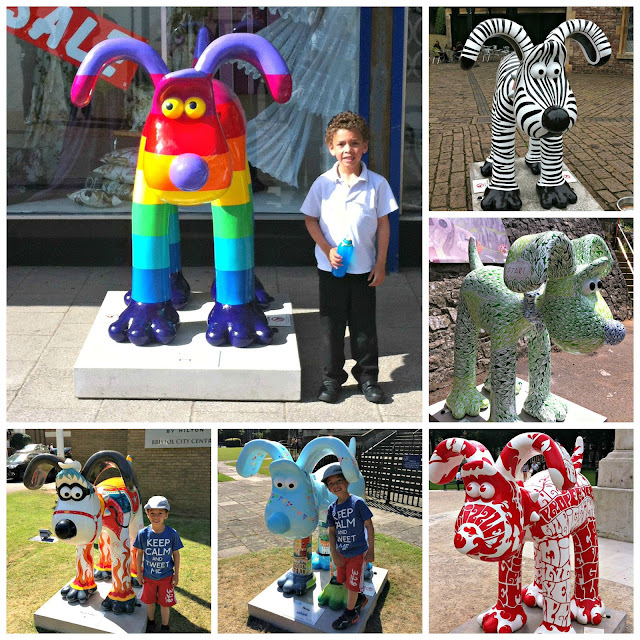 Gromit Unleashed made our Summer awesome this year--we spent so many happy days roaming the city in pursuit of our favourite pooch. We've rediscovered places that we hadn't visited for years, visited new places and most of all, we had loads of fun as a family. Hero looks fab and I LOVE the Roger Rabbit sketch! We've had a Great Gorilla trail this year. Similar thing, artists have painted up life sized ceramic gorillas which are dotted around the place, it's so nice to have something a bit different to do that doesn't cost anything! Are the gorillas still around? I am dying to see the Poirot one you mentioned! I think the best thing about the Gromits was that they made the whole city more friendly. People were smiling, cheerful, and everyone helped each other find Gromits. Yes, they're still here - not sure when they're being auctioned but sure they're around when the Agatha Christie Fest is on! Same is true of the Gorilla's people love those big guys! I love, love, love these Gromits! When they had the giant Eggs around London, I go excited whenever I spotted one (they'd lost their charm to my Brother, who lives there). I wish I'd seen the Gromits! We have nothing like that going on up here ... ever!